Selective reporting of results in published case-control studies has been widely suspected, but little comprehensive information on selective reporting is available with regard to case-control studies. We aimed to evaluate the concordance of findings between publications and the protocols of case-control studies and to assess the level of selective reporting of results in case-control studies. The databases of Embase, Medline, Scopus, and Web of Science were searched to identify case-control study protocols published between January 1, 1990 and December 31, 2017. The numbers and characteristics of predefined exposures (or factors) were extracted from the protocols. The reported and unreported factors were both collected from the published studies and protocols. The frequency of selective reporting of results were estimated by identifying the discrepancies of factors between the protocols and the published studies. Study sample size and the extent of selective reporting of factors were measured by a Spearman correlation analysis. Fourteen protocols with 24 published studies and 159 factors were identified, of which eight protocols (57.1%) had discrepancies between the publications and protocols. The prevalence of incomplete reporting in published case-control studies was 42.9% (6/14), with participant characteristics, anthropometric and laboratory measurement variables more likely to be unreported. A total of 16,835 cases and 56,049 controls were recruited in the 14 protocols of case-control studies (sample size ranges from 428 to 52,596 per study). Sample size had no statistical significance with selective reporting of results (P > 0.05). The study protocols should be publicly available prior to the completion of case-control studies so that the potential bias can be assessed by the readers. 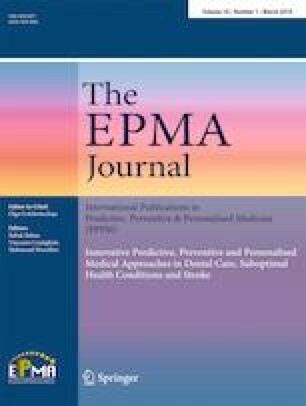 Our findings highlight the need for investigators, peer reviewers, and readers to exercise increased awareness and scrutiny due to the undesirable practice of selective reporting of results in medical sciences causing the loss of potentially important information, thus impacting quality of personalized attitude in healthcare in the context of the predictive, preventive, and personalized medicine. Haifeng Hou, Guoyong Ding and Xuan Zhao contributed equally to this work. The online version of this article ( https://doi.org/10.1007/s13167-019-00165-2) contains supplementary material, which is available to authorized users. HH and WW designed this study. GD, XZ, ZM, YZ, and ZG collected the data. HH, and DL performed the statistical analysis and interpretation of the data. JX provided statistical expertise. HH, WW, and JX wrote the manuscript. All authors have read and approved the manuscript. This work was supported by the Natural Science Foundation of Shandong Province, China (No. ZR2017MH100). The sponsor did not participate in the study design, data collection, data analysis, or manuscript preparation.